I don’t have to tell you that teens have issues with self-confidence. I mean… you WERE a teen once, right? Now…let’s add braces to the mix. Ugh. Oh yes! I had them and I remember the day I put them on too. I was SO UPSET. I wish that Invisalign Teen® clear aligners was an option for me when I was in the market for straighter teeth! 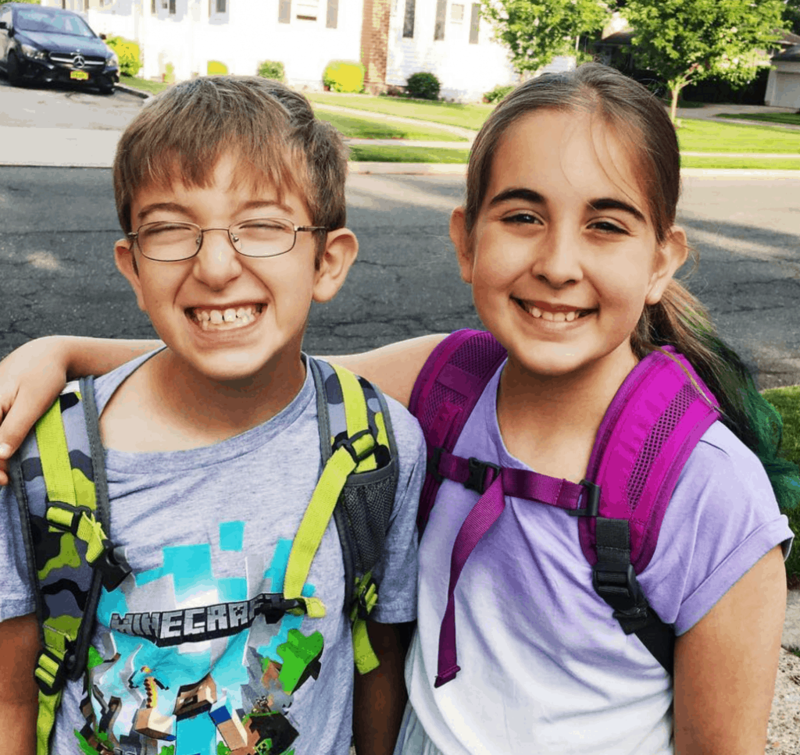 I have two children who are in need of some teeth straightening help and we will most certainly consult an Invisalign Teen trained doctor for them both when the time is right. What is Invisalign Teen clear aligners? Invisalign Teen treatment uses a custom-made series of clear, comfortable aligners that you wear over your teeth. You simply pop in a new set of aligners every two weeks. Your teeth gradually shift into place. What a modern concept to the antiquated mouth full of metal! No more wires. No more silver. No more worrying about your smile. And we all know that teens spend the majority of their days worrying, right? It’s during these few years that boys and girls see the biggest drop in self-esteem. 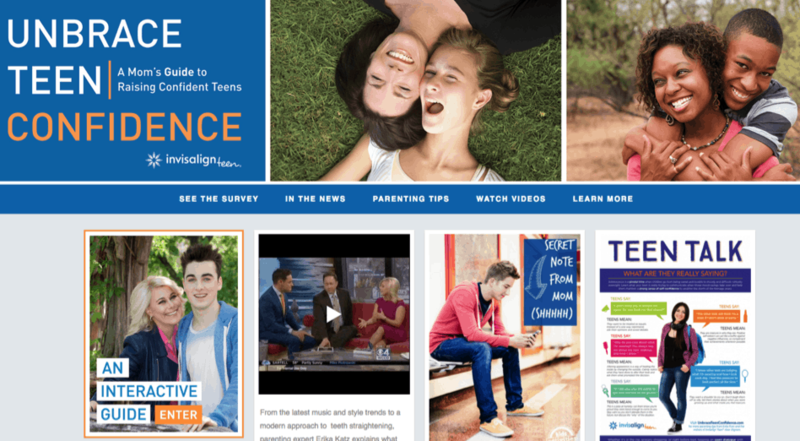 The Invisalign Teen brand collaborated with leading parenting expert and author Erika Katz to create the free parenting guide to “Unbrace Teen Confidence“. In it, parents can learn how to help teens build a foundation of self-esteem. Without getting into the specifics just yet, did you know that social media is really having a negative effect on our youth? I actually feel sorry for my children because they have to stay on top of their digital profiles as well as their real-life relationships. It seems like there isn’t enough time in the day to handle both! Again, I feel that way as someone who is pushing 40. Imagine what an 11 year old must feel every evening? 54% of teens felt their life would be better without social media. 40% feel their appearance is being judged more closely on social media than in person (Confession time: I feel the same way!!!). The survey also revealed that teens put a tremendous amount of pressure on themselves to fit in and that appearance plays a larger role in confidence than we may want to admit. 90% of teens feel judged by their peers; 94% of teens believe looks affect popularity. The majority of teens (57%) think that crooked teeth are embarrassing vs. 23% of moms. But while 41% of teens feel wearing traditional braces is embarrassing, only 18% of moms agree. 92% of teens say that wearing metal braces would keep them from fitting in with their peers (WOWOWOWOWOWOW). I think it’s important to note that parents can help teens work through some of these issues by looking into modern solutions like Invisalign Teen, which straightens teeth without metal wire and brackets, giving teens confidence as they’re improving their smile. 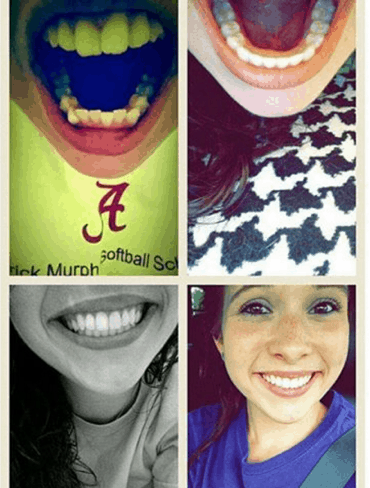 Teens wearing Invisalign Teen are 68% less likely to be teased than those wearing metal braces. While in treatment, it is two times more likely for teens using Invisalign Teen clear aligners to experience a boost in self-esteem than teens wearing traditional braces. 40% of teens think that wearing traditional braces would have or has had a negative impact on their self-confidence, while just 13% say this about Invisalign Teen treatment. Parents can’t make their children’s lives perfect. We know this. We’ve all tried and failed. But there are simple solutions to make their lives better. 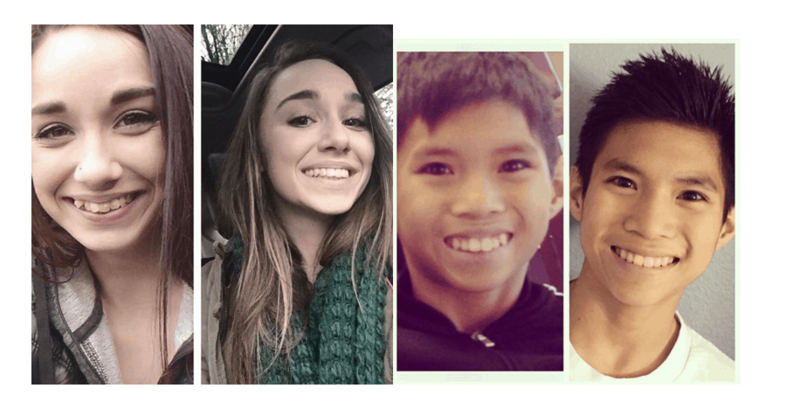 Giving them Invisalign Teen treatment instead of antiquated metal braces is a small, but very powerful step towards helping maintain their self-confidence and self-esteem. Go to UnbraceTeenConfidence.com to view and download the free parenting guide, view the complete survey and learn more about what teens and moms have to say about confidence.